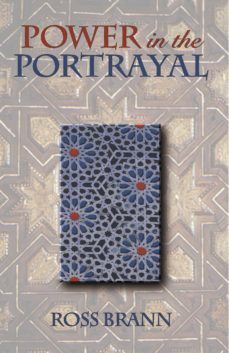 Power in the Portrayal unveils a fresh and vital perspective on power relations in eleventh- and twelfth-century Muslim Spain as reflected in historical and literary texts of the period. Employing the methods of the new historical literary study in looking at a range of texts, Ross Brann reveals the paradoxical relations between the Andalusi Muslim and Jewish elites in an era when long periods of tolerance and respect were punctuated by outbreaks of tension and hostility.The examined Arabic texts reveal a fragmented perception of the Jew in eleventh-century al-Andalus. They depict seemingly contradictory figures at whose poles are an intelligent, skilled, and noble Jew deserving of homage and a vile, stupid, and fiendish enemy of God and Islam. For their part, the Hebrew and Judeo-Arabic texts display a deep-seated reluctance to portray Muslims in any light at all. Brann cogently demonstrates that these representations of Jews and Muslims--each of which is concerned with issues of sovereignty and the exercise of power--reflect the shifting, fluctuating, and ambivalent relations between elite members of two of the ethno-religious communities of al-Andalus.Branns accessible prose is enriched by his splendid translations; the original texts are also included. This book is the first to study the construction of social meaning in Andalusi Arabic, Judeo-Arabic, and Hebrew literary texts and historical chronicles. The novel approach illuminates nuances of respect, disinterest, contempt, and hatred reflected in the relationship between Muslims and Jews in medieval Spain.